Carolyn Blacklock has 25 years’ experience in private sector finance, development and infrastructure. A corporate banking career in Australia was followed in 2009 by a move to Papua New Guinea to establish the International Finance Corporation (the private sector arm of the World Bank) where she led the office for the next four years. In her work as a government adviser, she has a mandate to accelerate infrastructure development and create bankable projects to attract developers and investors to PNG. 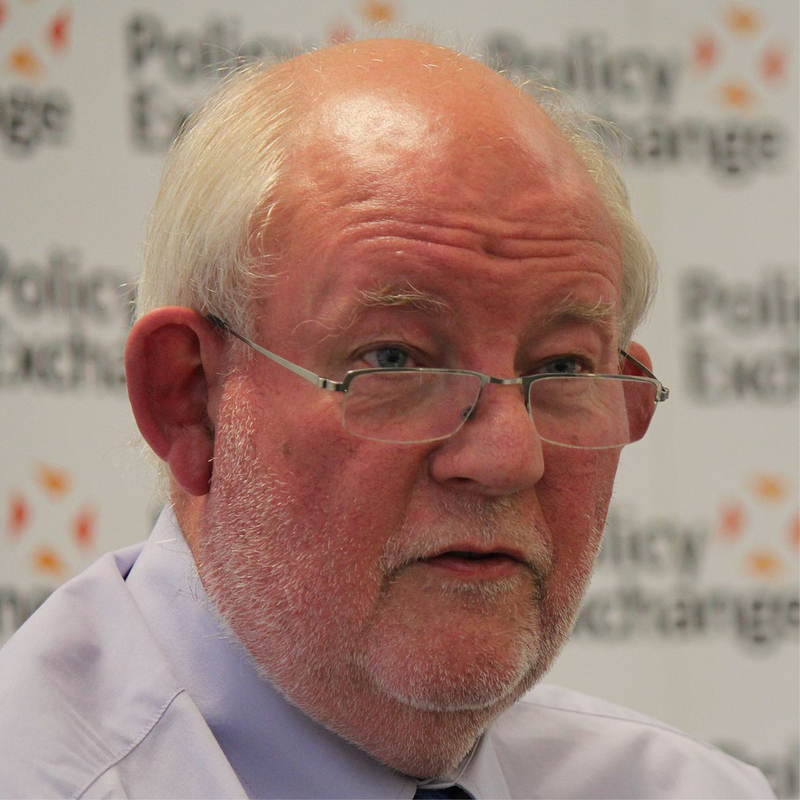 The Rt Hon Charles Clarke, a Labour Party politician, served as home secretary (2004-06) and education secretary (2002-04). He is still involved in politics and has a particular interest in education policy and broader areas of long-term planning and strategy in public and private sectors. A lifelong politician and activist, he served as president of the National Union of Students and currently holds a number of academic and political appointments, including membership of the European Council on Foreign Relations. 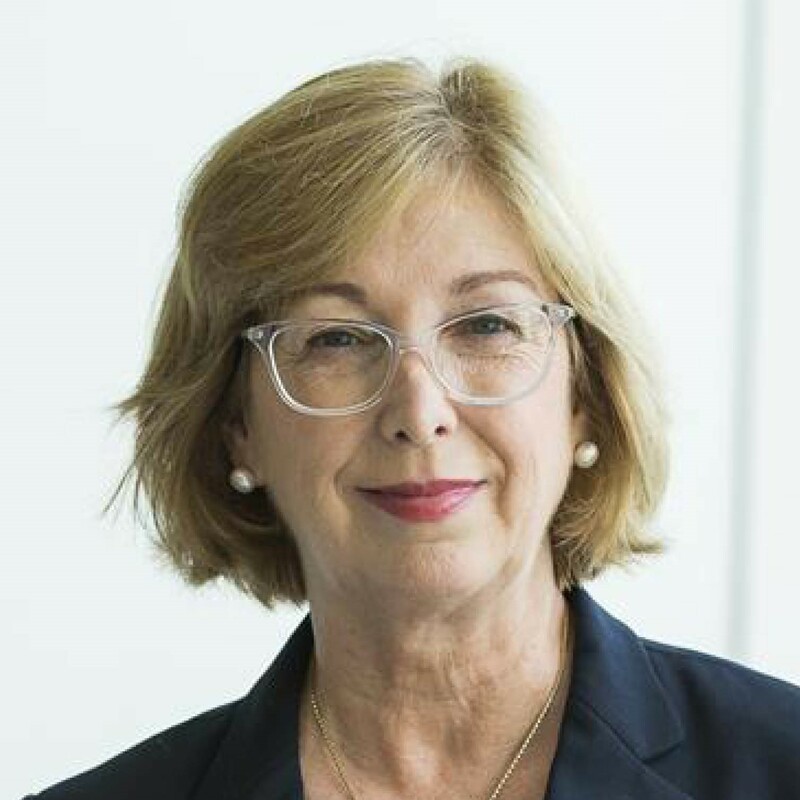 Ana Deletic is pro vice-chancellor for research at UNSW, having previously served as associate dean of research in the Faculty of Engineering and founding director of the Infrastructure Research Institute at Monash University. Professor Deletic leads a large research group on multidisciplinary urban water issue, focusing on storm water management and socio-technical modelling. Earlier, she led the development of a number of green, nature-based water treatment systems, which have been widely adopted in Australia and abroad. She is a fellow of Engineers Australia and the Australian Academy of Technology and Engineering, and editor of Water Research. In 2012, she was awarded the Victoria Prize for Science and Innovation in Physical Sciences for her storm water research. 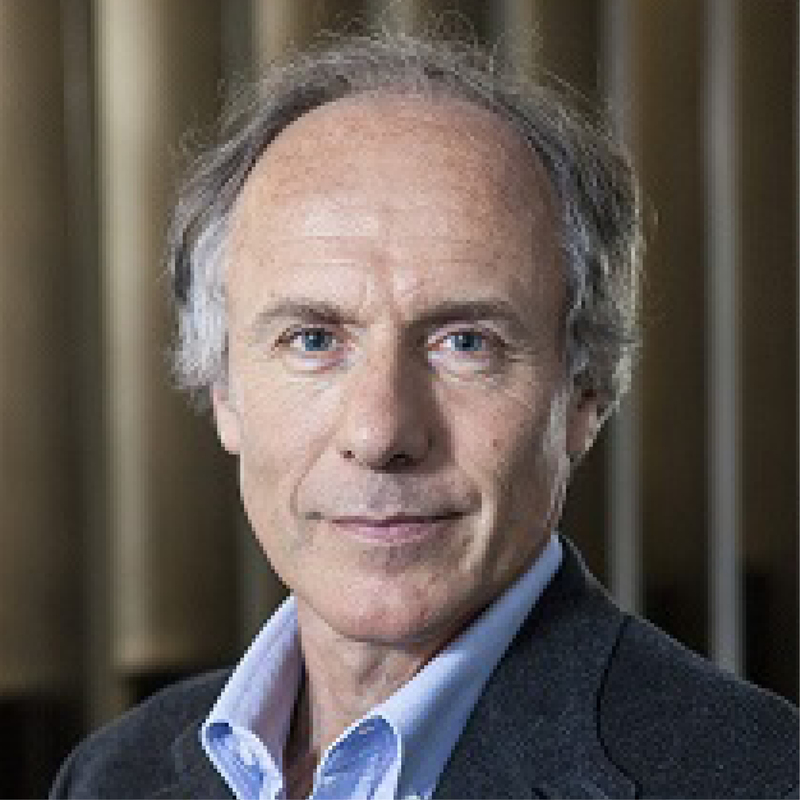 Prior to being appointed chief scientist in 2016, Dr Finkel – an entrepreneur, engineer, neuroscientist and science educator – was chancellor of Monash University and president of the Australian Academy of Technology and Engineering. In his current role, he has led a number of national reviews, including the 2018 STEM Industry-Schools Partnerships Forum report. 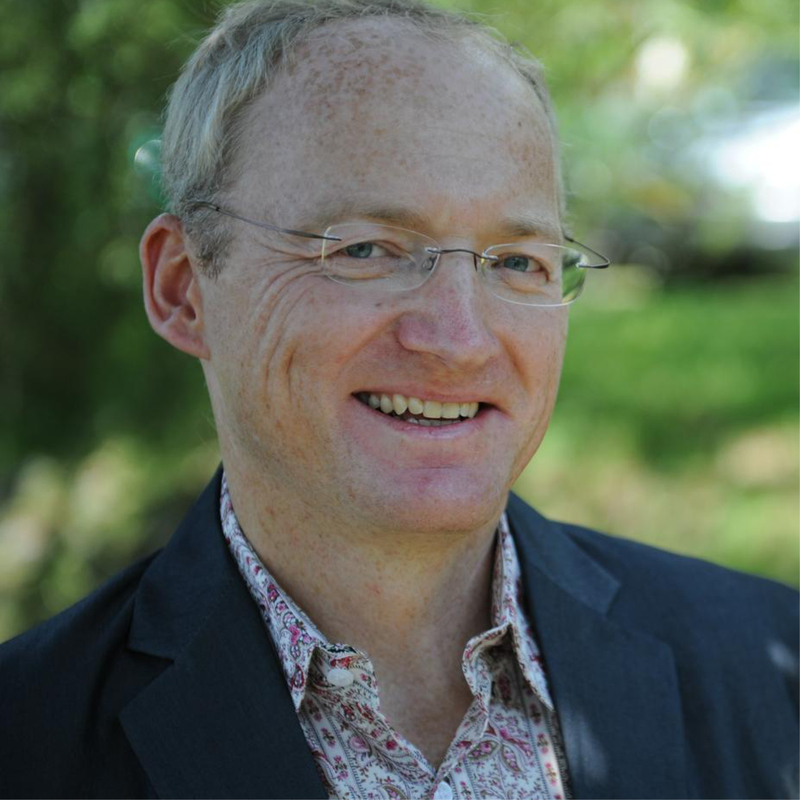 He serves as the deputy chair of Innovation and Science Australia, was named Victorian of the Year in 2016, and won the Clunies Ross Award for facilitating international neuroscience research in 2005. Professor Fisk, an expert in developmental biology and maternal-fetal medicine, joined UNSW in 2016 from the University of Queensland where he was executive dean of the Faculty of Medicine and Biomedical Sciences. Prior to that, he was inaugural director of UQ’s Centre for Clinical Research. He has served in leadership roles in a number of international and national organisations, including as president of the International Fetal Medicine and Surgery Society, and in 2015, he was elected to fellowship of the Australian Academy of Health and Medical Sciences. Ticky Fullerton is a prizewinning Australian journalist who hosts her own television programme Ticky on the Australian Money Channel. The programme features politicians, senior business executives and economists nightly. She previously hosted her own programme on Sky News Business and has more than 20 years of experience in television at Sky News and ABC. Previously, she was an associate director with investment bank Credit Suisse First Boston for 10 years, working in London and Sydney. She has a law degree from the University of Oxford. Pascale Fung, a professor in the department of electronic and computer engineering and the department of computer science and engineering, is director of the Center for Artificial Intelligence Research at HKUST. She is co-founder of the university’s Human Language Technology Center and founding chair of the Women Faculty Association. 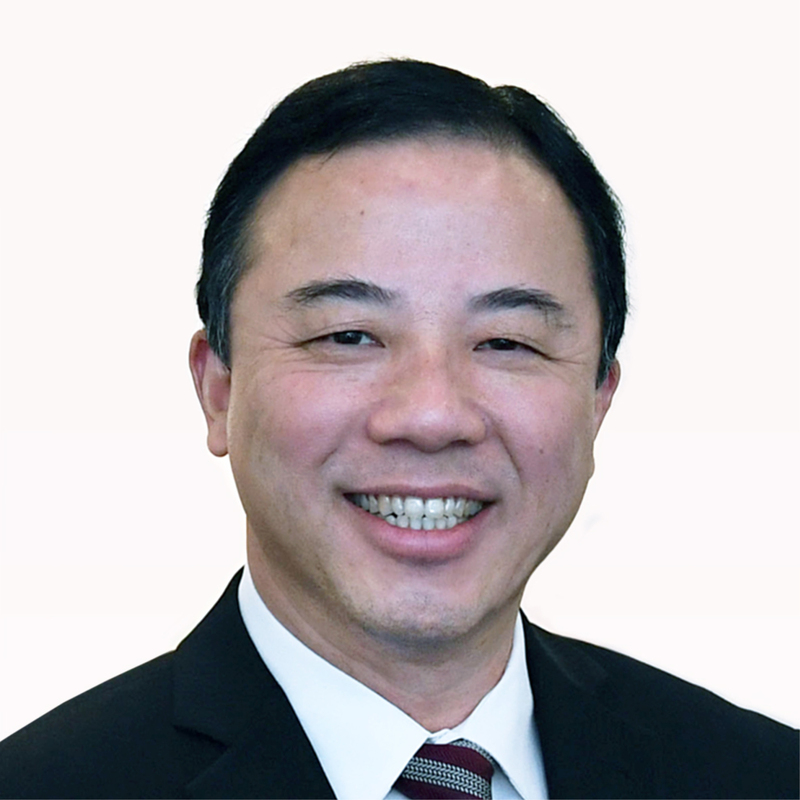 Professor Fung is also an elected fellow of the Institute of Electrical and Electronic Engineers, a fellow of the International Speech Communication Association and an expert on the Global Future Council, a thinktank for the World Economic Forum. Her specific areas of research are using statistical modelling and deep learning for natural language processing, spoken language systems, emotion and sentiment recognition, and other areas of AI. She is also a fluent speaker of seven European and Asian languages. 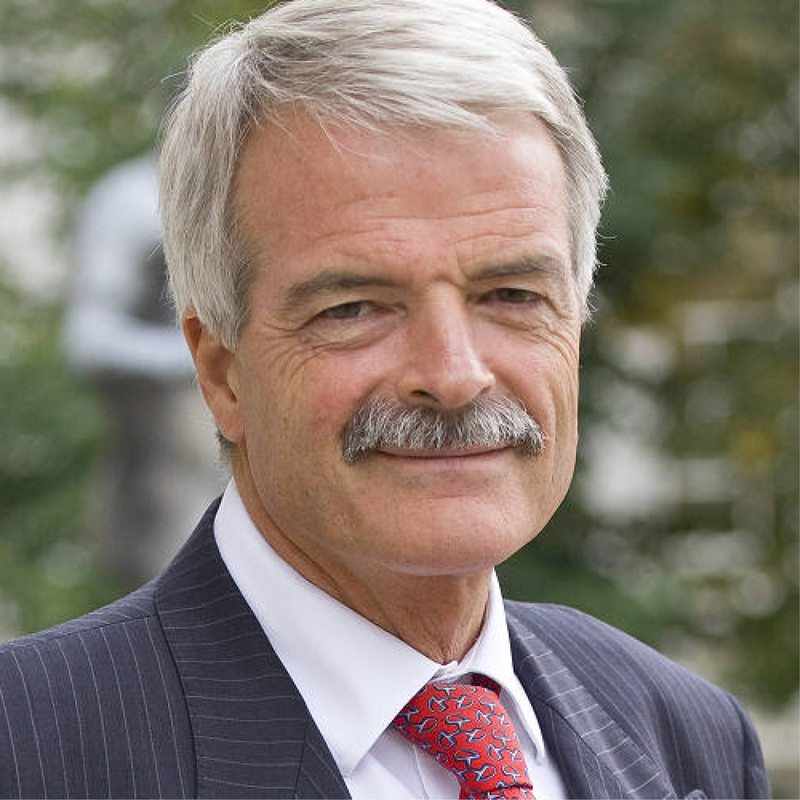 Professor Grant is chancellor of the University of York and former chairman of NHS England. Previously, he was president and provost of UCL (2003-13) and pro-vice chancellor at the University of Cambridge. He is a fellow of Clare College, Cambridge. He has chaired the Local Government Commission for England, the Agriculture and Environment Biotechnology Commission and the Russell Group. He has also been a member of the Higher Education Funding Council for England and of the Economic and Social Research Council. 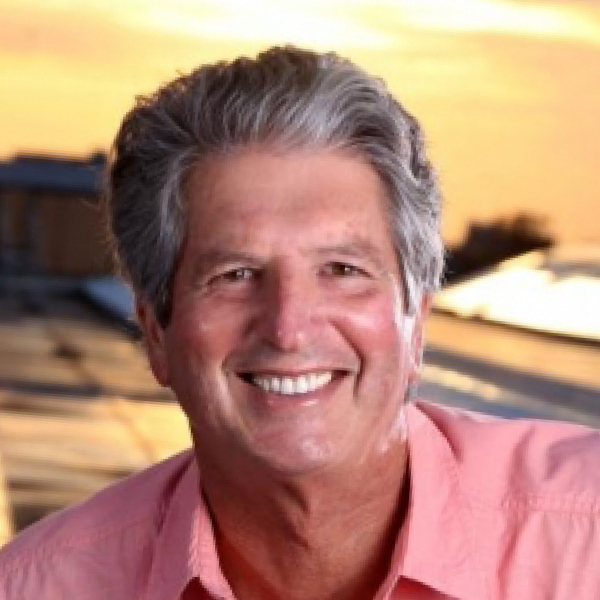 Professor Green is a solar energy researcher and his research group has held the record for silicon solar cell efficiency for 30 of the past 34 years. His work has been recognised with many international awards including the 1999 Australia Prize, the 2002 Right Livelihood Award (also known as the Alternative Nobel prize), the 2007 SolarWorld Einstein Award, the 2016 Ian Wark Medal from the Australian Academy of Science and the 2018 Global Energy Prize for research, development and educational activities in the field of photovoltaics. Todd Hornal is regional director (APAC) at Times Higher Education, working with universities in the region on brand and reputation solutions, helping them to attract students, academic talent, investment, philanthropic support, and to forge strategic partnerships. Sarah Huggett’s role at Elsevier involves preparing reports on research performance. Her first job at Elsevier in Research & Academic Relations gave her an understanding of how bibliometrics can be used to inform strategic planning. She has a particular interest in new developments in research evaluation, such as measures of attention and engagement. 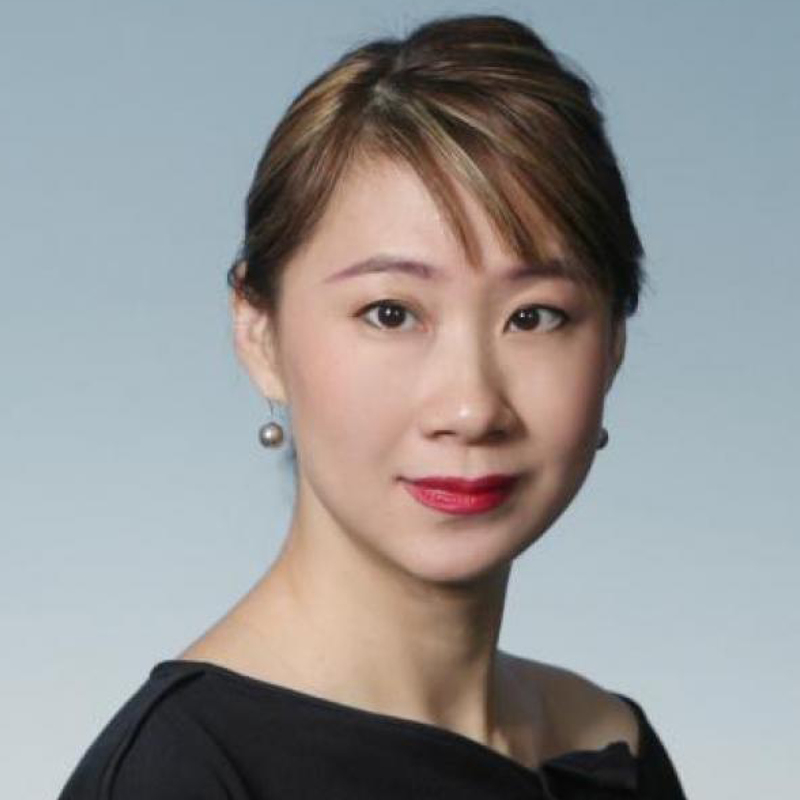 After completing a bachelor’s then master’s degrees at the University of Grenoble (France), she joined Elsevier in 2006, relocating to Singapore in 2014 to focus on the Asia-Pacific region. 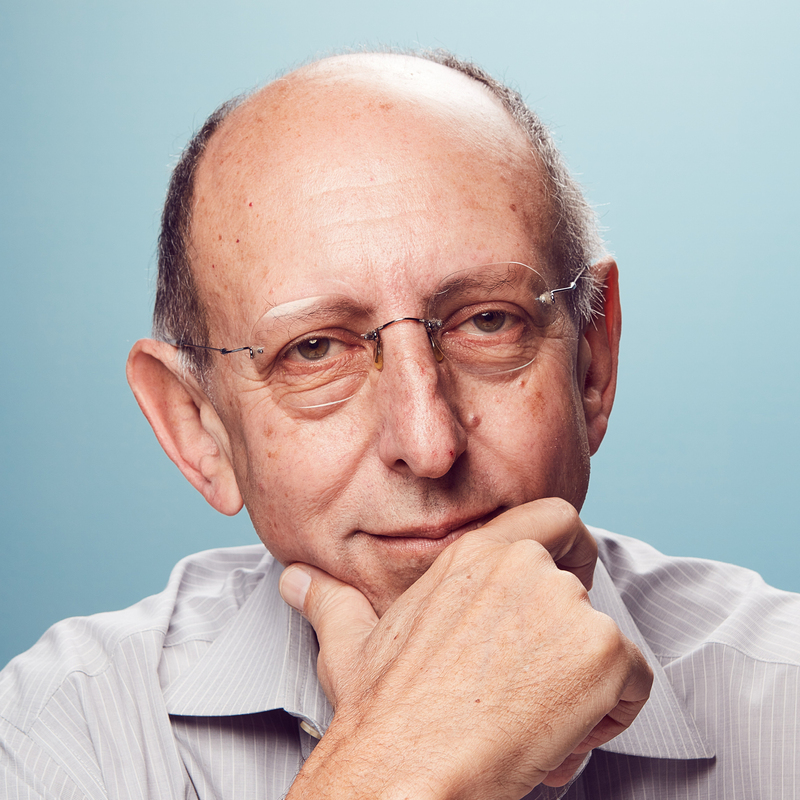 Professor Jacobs has led UNSW Sydney since 2015 and been chair of the Group of Eight universities since February 2018. Prior to this, he was vice-president of the University of Manchester for four years. For 30 years, he has led a research team working on the early detection and risk prediction of cancer with a focus on screening for ovarian cancer. Among other roles, he is an honorary senior principal research fellow of the Garvan Institute of Medical Research and board member of Research Australia. 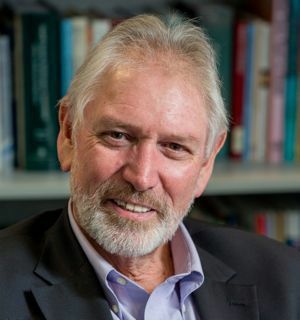 Professor Johnston, a marine ecologist, is a former pro vice-chancellor (research) at UNSW Sydney and head of the Applied Marine and Estuarine Ecology Laboratory. She was the inaugural director of the Sydney Harbour Research Programme at the Sydney Institute of Marine Science. Awards for her research include the inaugural Australian Academy of Science Nancy Millis Medal for Women in Science (2014) and she won the 2015 Eureka Prize for Promoting Understanding of Australian Science Research. She is president of Science and Technology Australia. Professor Klugman leads the foundation’s work to reduce deaths from pneumonia, neonatal sepsis and meningitis in children. He is also a co-director of the Maternal, Newborn and Child Health Discovery and Tools programme. He holds multiple professorships, has decades of experience leading high-level committees and hundreds of scientific publications to his name. His work demonstrating pneumococcal conjugate vaccine efficacy in the developing world has led to interventions that have saved millions of lives, especially in Africa. 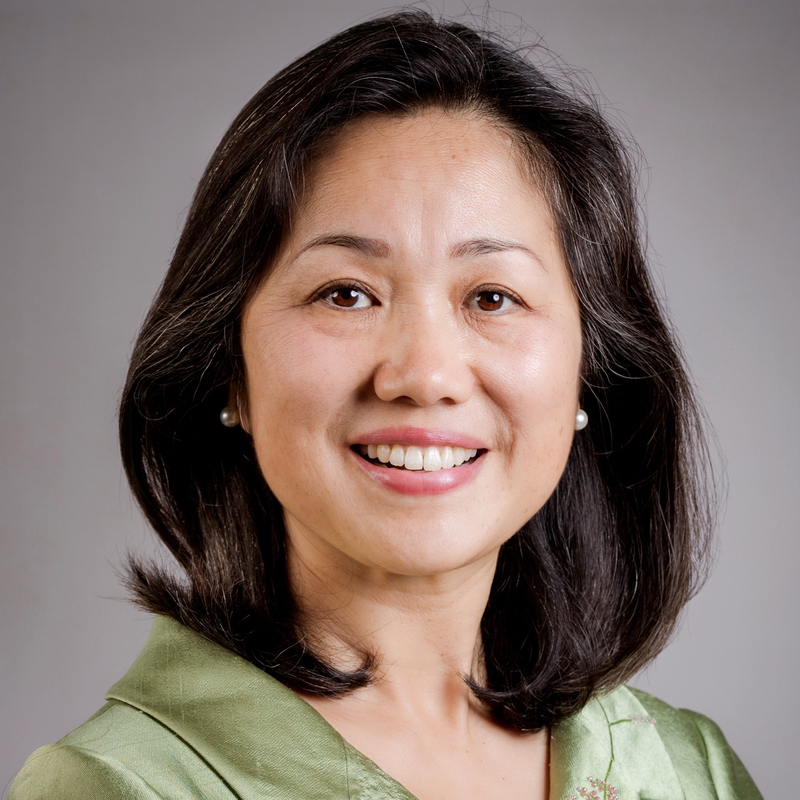 Hongxia Liu has more than 20 years’ executive experience working in higher learning and leadership consulting in governmental, intergovernmental and humanitarian sectors. She has worked in North American, Asian Pacific and European markets and been based in Washington DC, China, Australia and the Republic of Georgia. 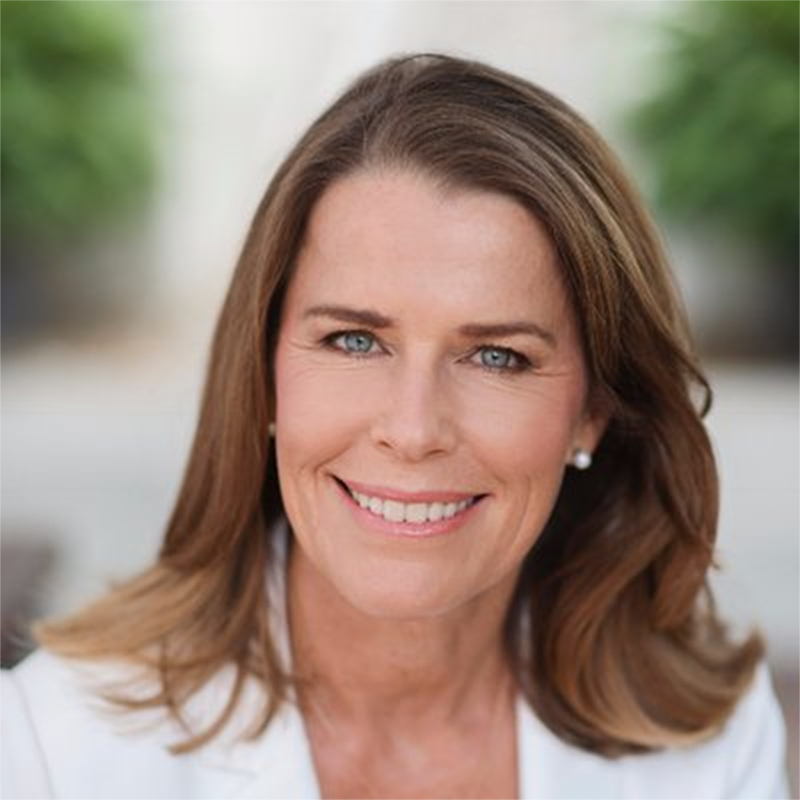 She serves as vice-chair of the board of advisers for the International Development Law Organization and is a governance fellow of the National Association of Corporate Directors. 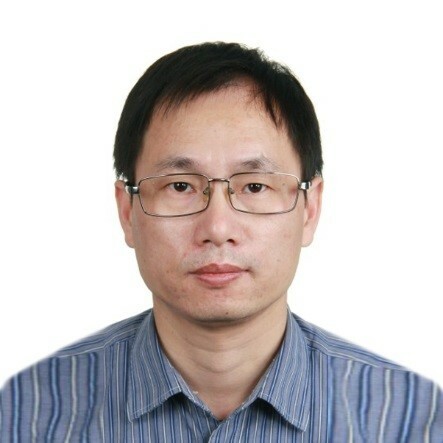 Qing Liu is a professor and vice-president of the Institutes of Science and Development in the Chinese Academy of Sciences. Prior to that, he was a librarian at CAS for more than 20 years, with expertise in information services, information analysis and research. He also led the think-tank division of the Bureau of Development and Planning at CAS from 2013 to 2015. He has organised several national policy evaluations and major reform issue studies since 2014. 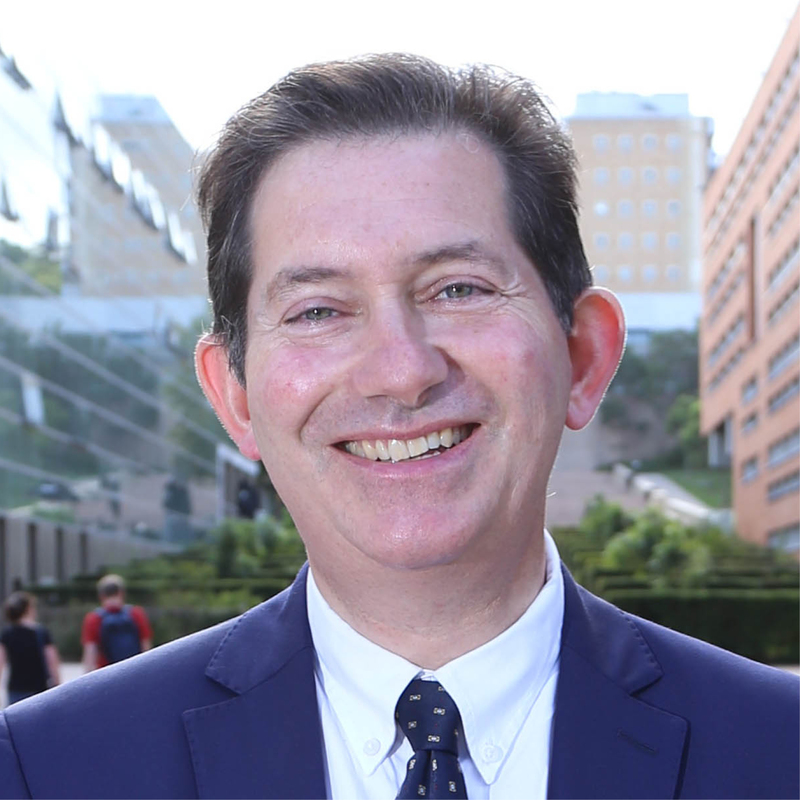 In addition to his current role, Professor Lopez heads the Global Burden of Disease Group in the Melbourne School of Population and Global Health. 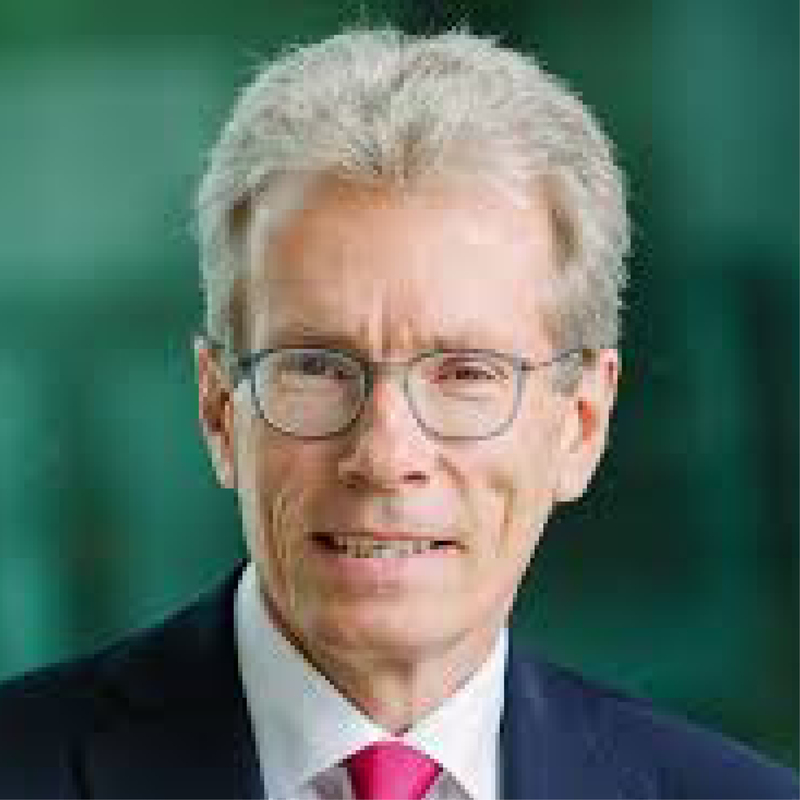 He joined Melbourne from the University of Queensland (2003-12) and prior to that spent 22 years at the World Health Organization in Geneva, including as chief epidemiologist in WHO’s tobacco control programme. 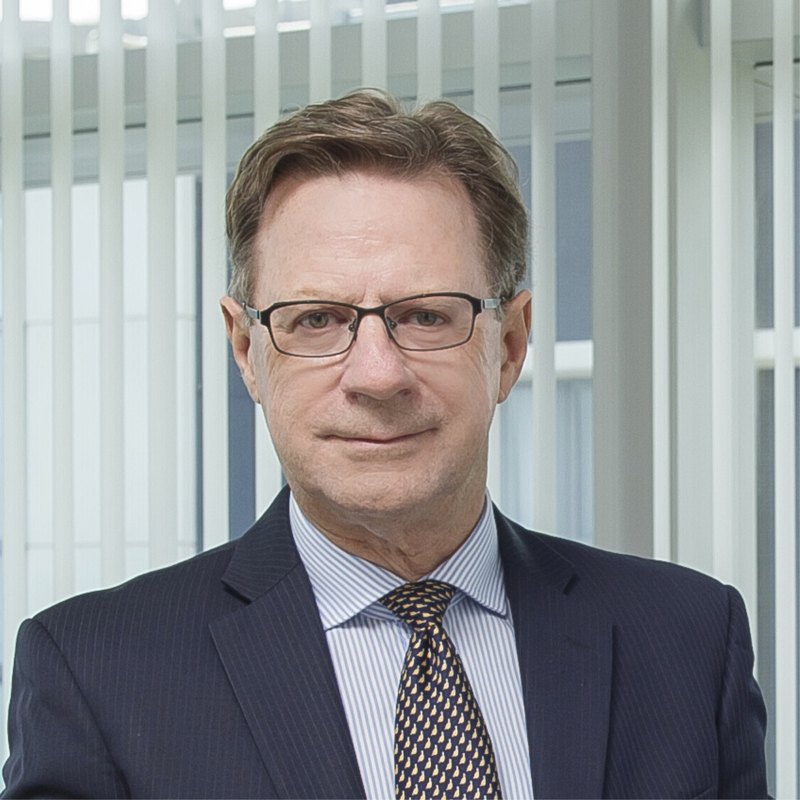 He was appointed Companion of the Order of Australia in 2016 for his contributions to health science and has been presented with the John Dirks Canada Gairdner Global Health Award 2018. 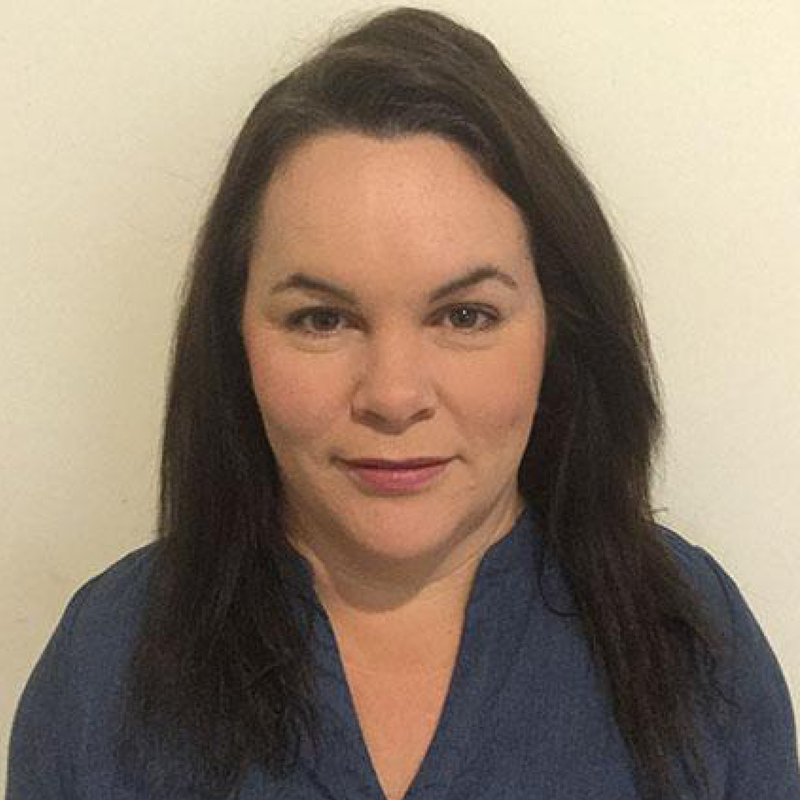 Sarah Macdonald presents the weekend Nightlife programme on ABC Radio across Australia, among other programmes. She has previously worked as a presenter on radio station Triple J, as a political correspondent, a television presenter and she co-presents the storytelling event The Full Catastrophe, which is due to be released as a book in 2019. Her best-selling book Holy Cow has been translated into several languages. She also works with academics at the University of New South Wales on media performance. Professor MacIntyre heads the biosecurity programme at the Kirby Institute at UNSW Sydney. She is best known for her research into the transmission dynamics and prevention of infectious diseases, particularly respiratory pathogens, and she has led international research on face masks and respirators for healthcare workers. She has extensive expertise in vaccination programmes and leads an NHMRC Centre for Research Excellence in Epidemic Response (ISER), the first in Australia to be dedicated to epidemic response. 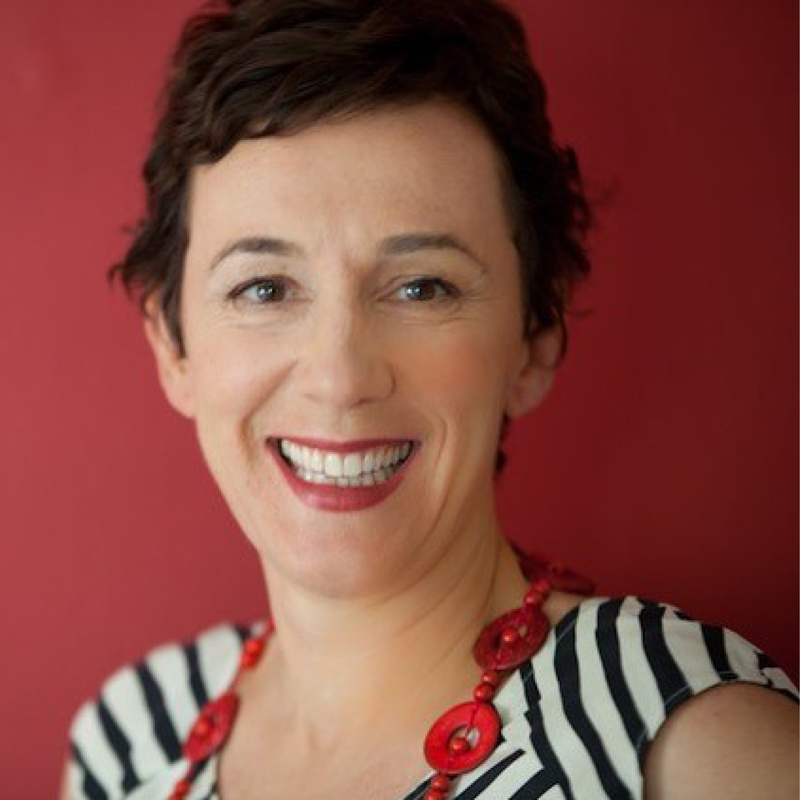 Fiona Martin started working as an academic after several years as a lawyer both with the government (including the Attorney-General’s Department) and in private practice. Her expertise and research are in taxation law and, in particular, how it relates to charities and interacts with issues relating to human rights and traditional landowners. 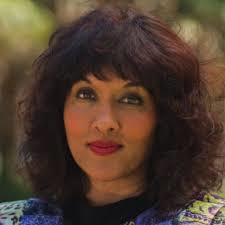 She has published widely and presented at conferences on many issues such as whether Australia should have a charities commission, taxation concessions applying to charities, and the inequity of the mining withholding tax. 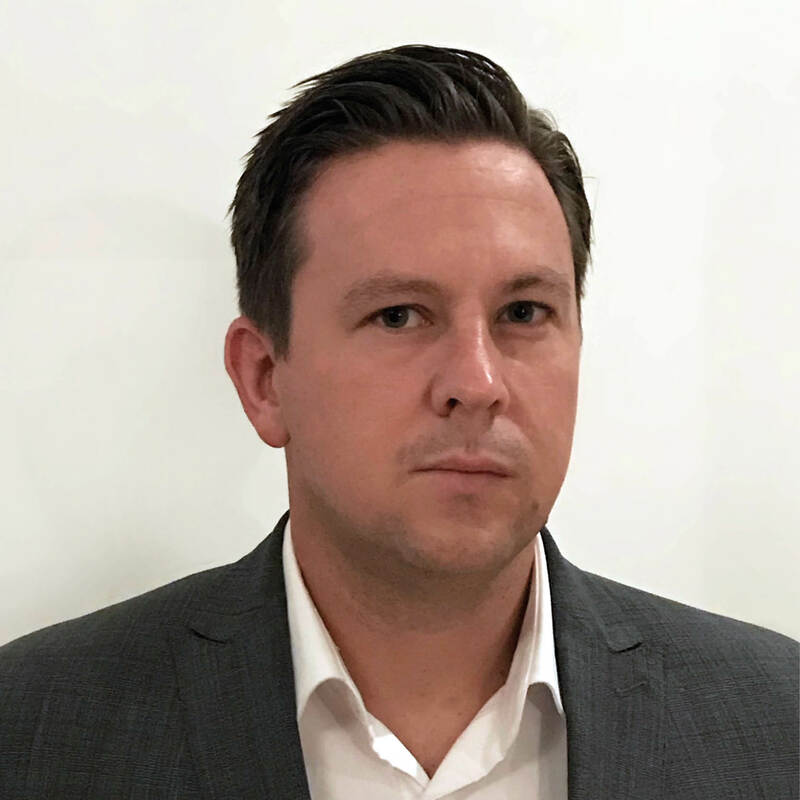 David McCredie joined the Australian British Chamber of Commerce in 2010 and has established a culture of growth in membership and sponsorship, while maintaining the core business of building the events programme. 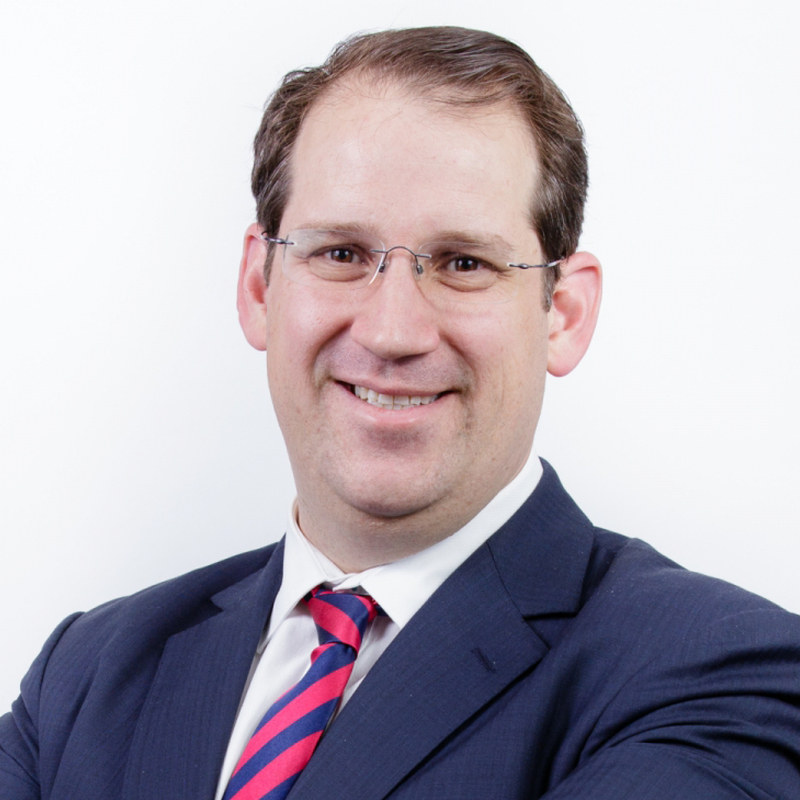 Throughout his 20-year career, he has developed strong strategic and business development capabilities, advising those looking to broaden their exposure both within their sector, across industries and into new markets. His insight into Australia’s unique and long-standing relationship with the UK has led to his role as a leading voice and adviser in the media on political and business activities in the UK. Dr Nand’s remit covers surveillance and response, health information systems, health policy and social determinants of health environments. 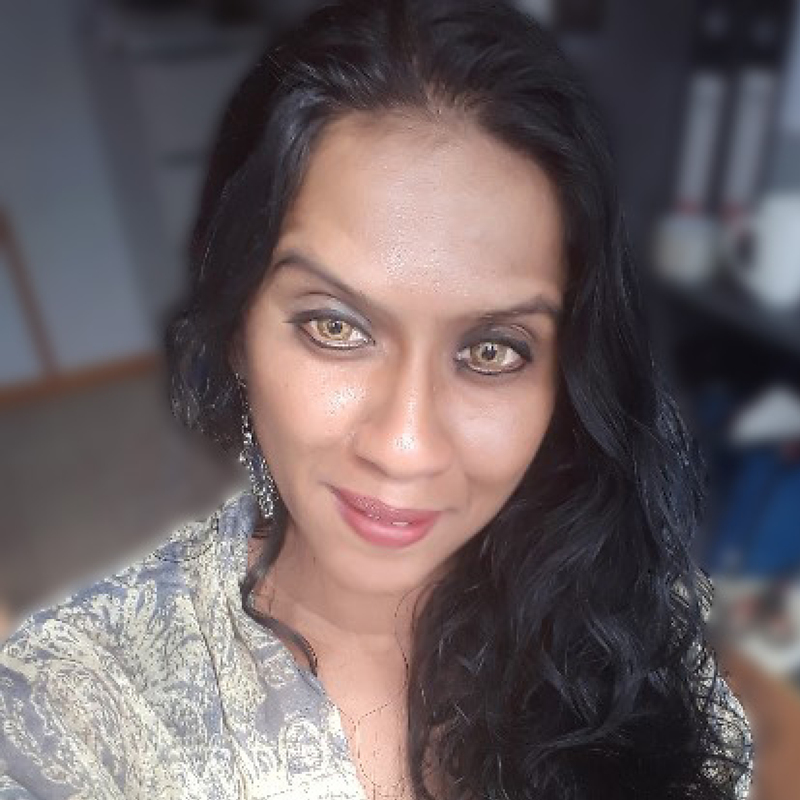 She has worked for 13 years in public health systems in Fiji in both rural and urban health facilities, and chaired the Surveillance Technical Working Group under the National Taskforce on Control of Outbreak-prone Diseases. In 2010, she undertook special assignments for the minister of health, including devolution of outpatient services to satellite clinics. 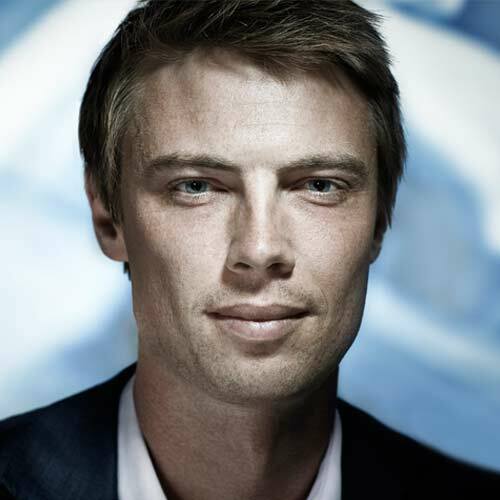 Laurie Pearcey is the youngest pro vice-chancellor in the Australian higher education sector and one of the youngest university leaders internationally. Prior to his appointment, he led the development of UNSW’s China and India priority country strategies. He has also served as executive director of the international office and the director of the Confucius Institute at UNSW. Prior to joining the institution, he was chief executive of the Australia China Business Council. A fluent Mandarin Chinese speaker, he is widely regarded as one of Australia’s leading experts on China, its political economy and higher education issues. 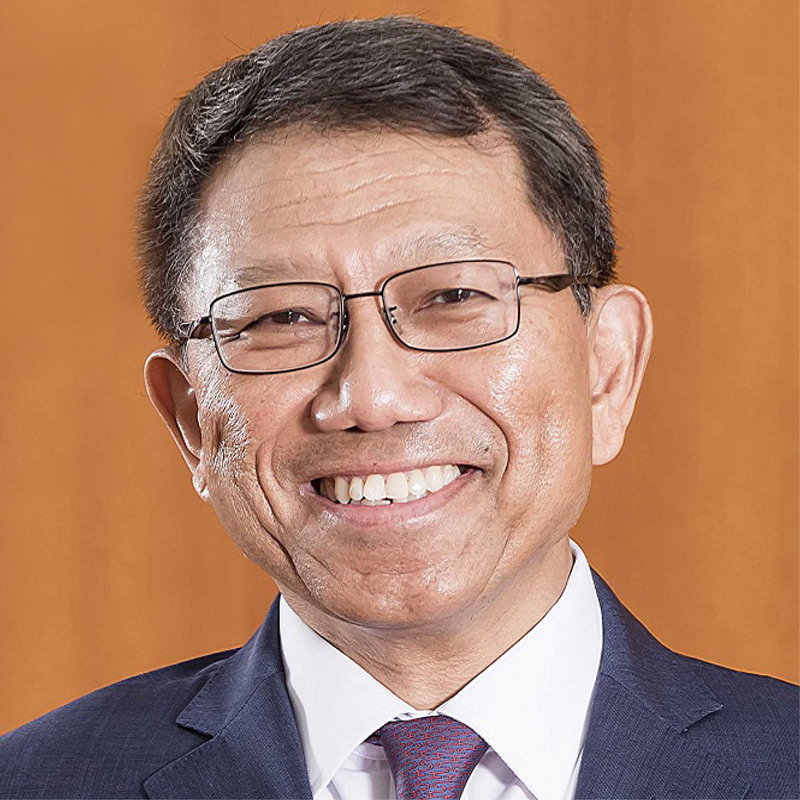 Professor Quah joined the Lee Kuan Yew School of Public Policy at NUS as Li Ka Shing professor in economics in 2016 and, in addition, became dean in May 2018. 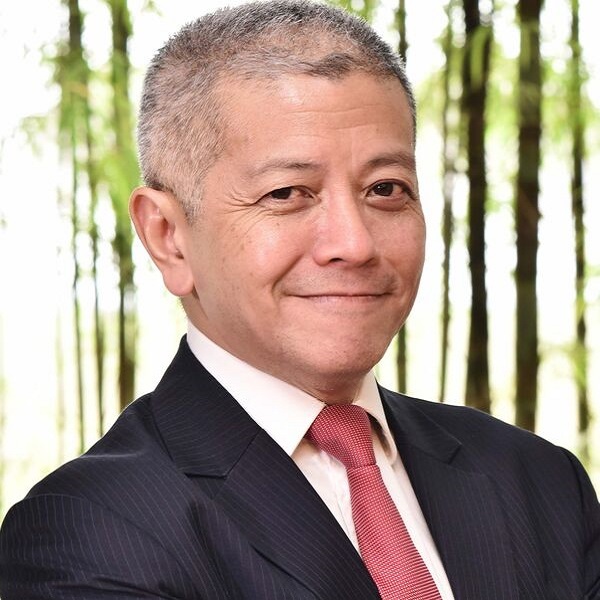 Prior to that, he was at the London School of Economics for 20 years as director of the Saw Swee Hock Southeast Asia Centre (2014-16), and professor of economics and international development. His expertise is in global power shifts, the rise of the East, regional order and models of global power relations. In addition to heading the Swette Center, Bruce Rittmann is a Regents’ professor in the School of Sustainable Engineering and Built Environment. An expert in managing microbial communities, his work is leading to new ways to clean up pollution, treat water and wastewater, capture renewable energy and improve human health. 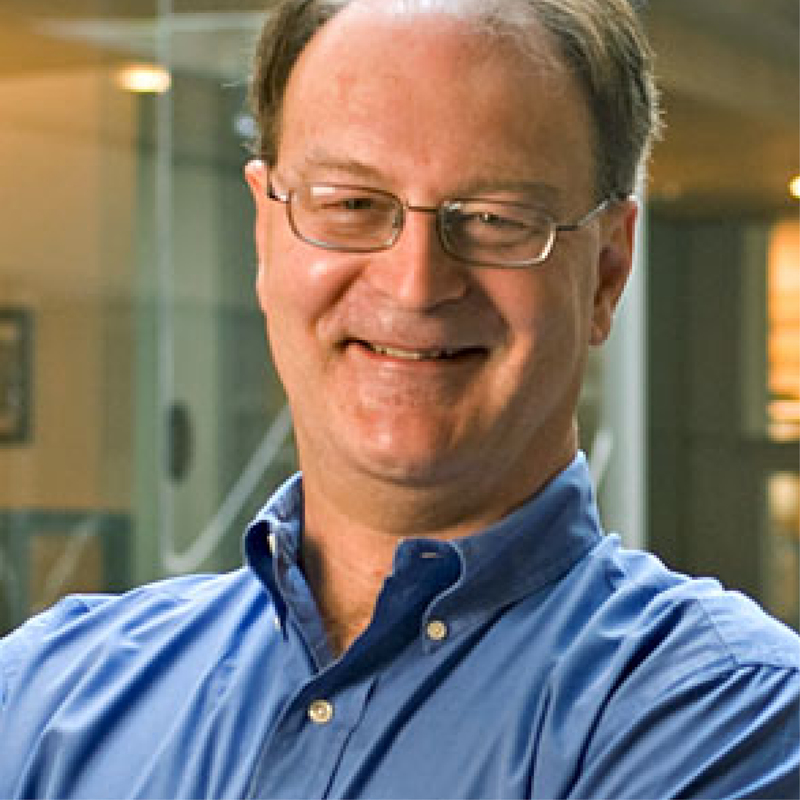 Prior to joining ASU in 2005, he held professorships at Northwestern University and the University of Illinois at Urbana-Champaign. Numerous accolades include being named a 2018 Stockholm Water Prize laureate for revolutionising water and wastewater treatment. 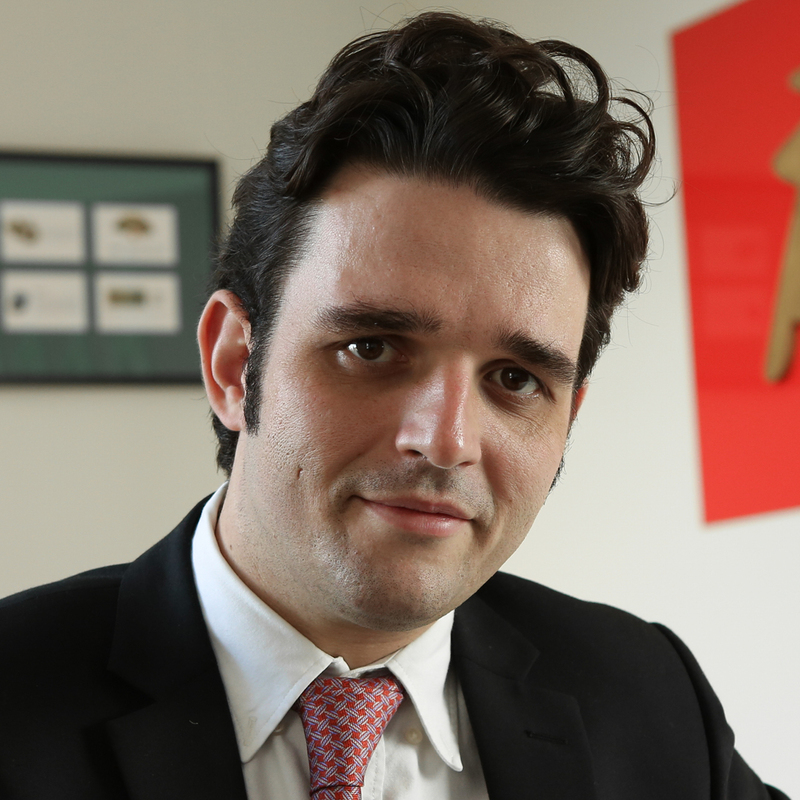 John Ross joined Times Higher Education in February 2018. He was previously higher education and science correspondent with The Australian newspaper. 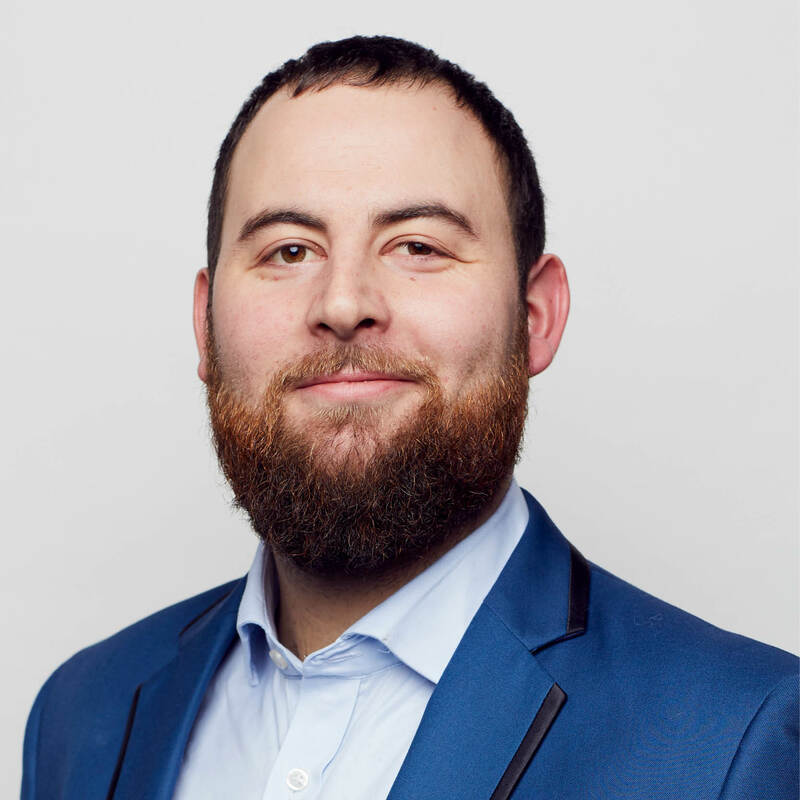 He has twice won the National Press Club’s higher education journalist of the year award, most recently in 2018, and has been shortlisted five times. He holds a communications degree from what is now University of Technology Sydney. 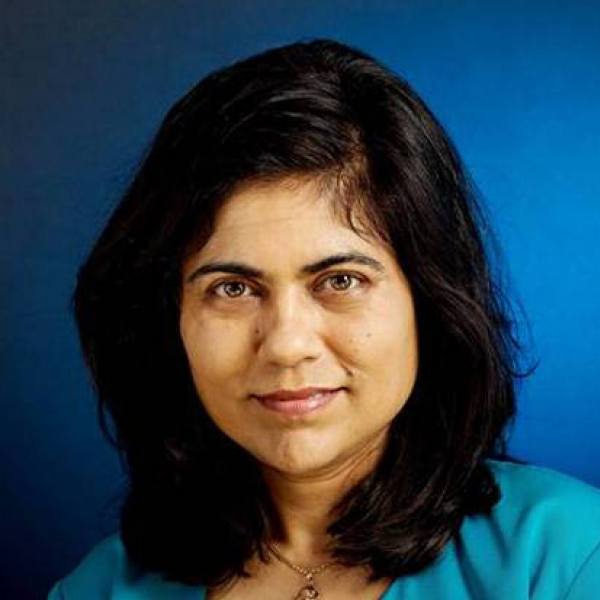 Professor Sahajwalla’s research is in recycling science to enable global industries to safely use toxic and complex wastes as low-cost alternatives to virgin raw materials and fossil fuels. Numerous honours include being the first woman to be awarded the Jubilee Professorship by the Indian Academy of Sciences in 2017 and, in 2016, she was named one of Australia’s Most Innovative Engineers by Engineers Australia. Her “green steel” technology was named on the US Society of Manufacturing Engineers’ 2012 list of “innovations that could change the way we manufacture”. Alongside his administrative leadership roles at ASU, Dr Searle is a professor in the School of Community Resources and Development. Prior to that, he served as interim provost, deputy provost and chief of staff. 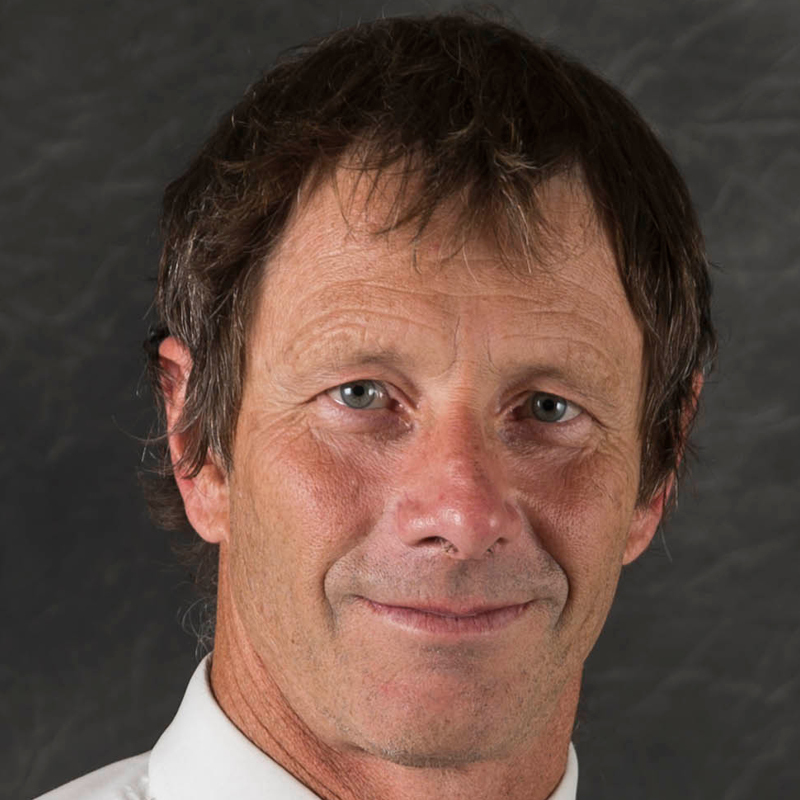 He joined ASU from the University of Manitoba, Canada, where he was the founding director of the multidisciplinary Health, Leisure, and Human Performance Research Institute. This followed a career in municipal and provincial government. He is a fellow of the Academy of Leisure Sciences. Professor Sheil was provost at the University of Melbourne before joining QUT in February 2018. 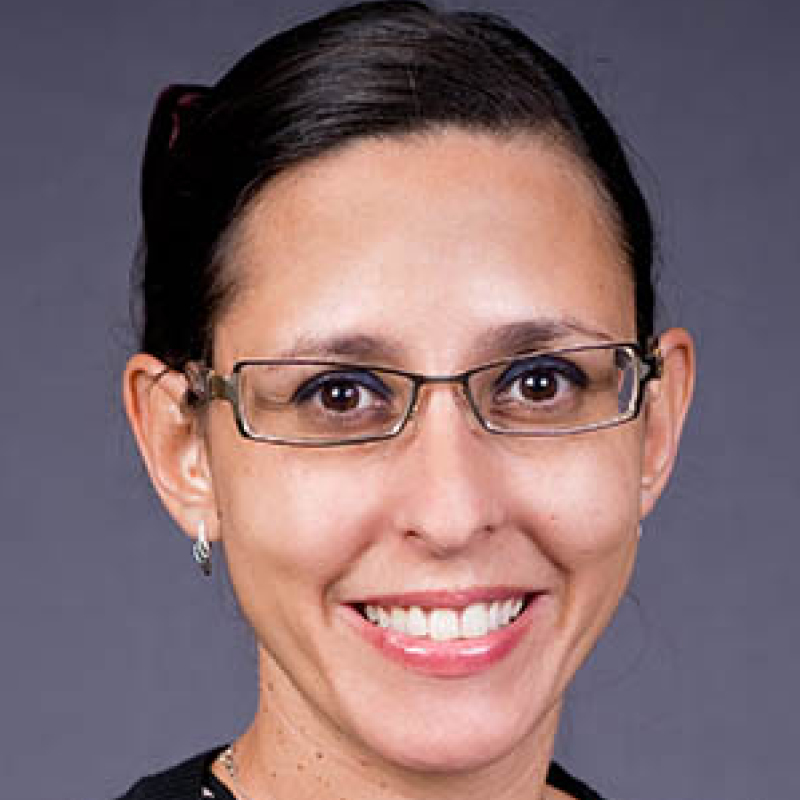 She has also held senior roles at the University of Wollongong. 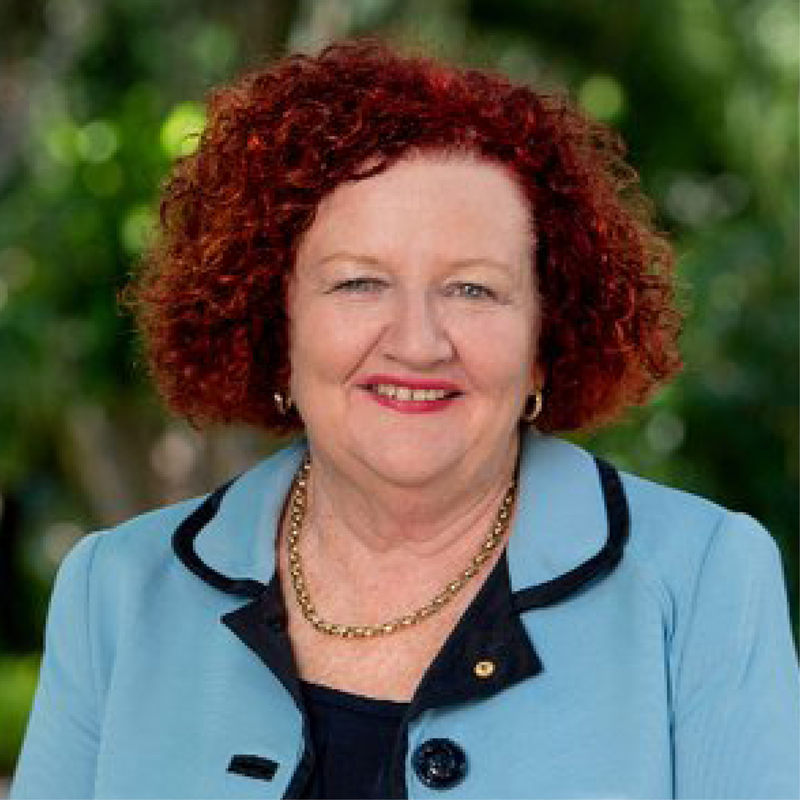 She is a director of the Australian Nuclear Science and Technology Organisation, and a fellow of the Royal Australian Chemical Institute, the Academy of Technology and Engineering, and the Australian and New Zealand Society for Mass Spectrometry. In 2017, she was made an Officer of the Order of Australia for distinguished service to science and higher education. 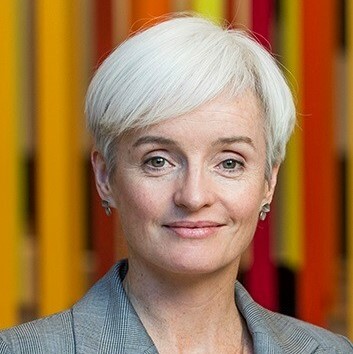 Professor Simmons is director of the Australian Research Council Centre of Excellence for Quantum Computation and Communication Technology and a Scientia professor of physics at UNSW Sydney. She is one of a few researchers in Australia to have twice received a federation fellowship and now a laureate fellowship from the ARC. 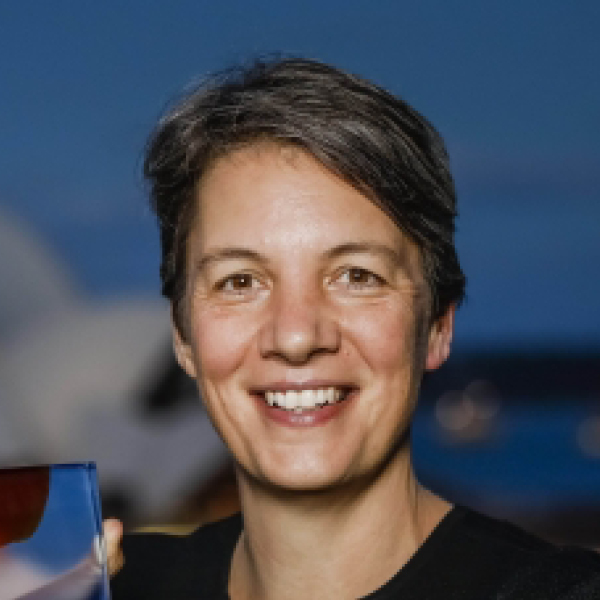 Other awards and honours include: Australian Academy of Science’s Pawsey Medal (2005); NSW Scientist of the Year (2012); Thomas Ranken Lyle Medal (2015); and Australian of the Year 2018 for her dedication to quantum information science. 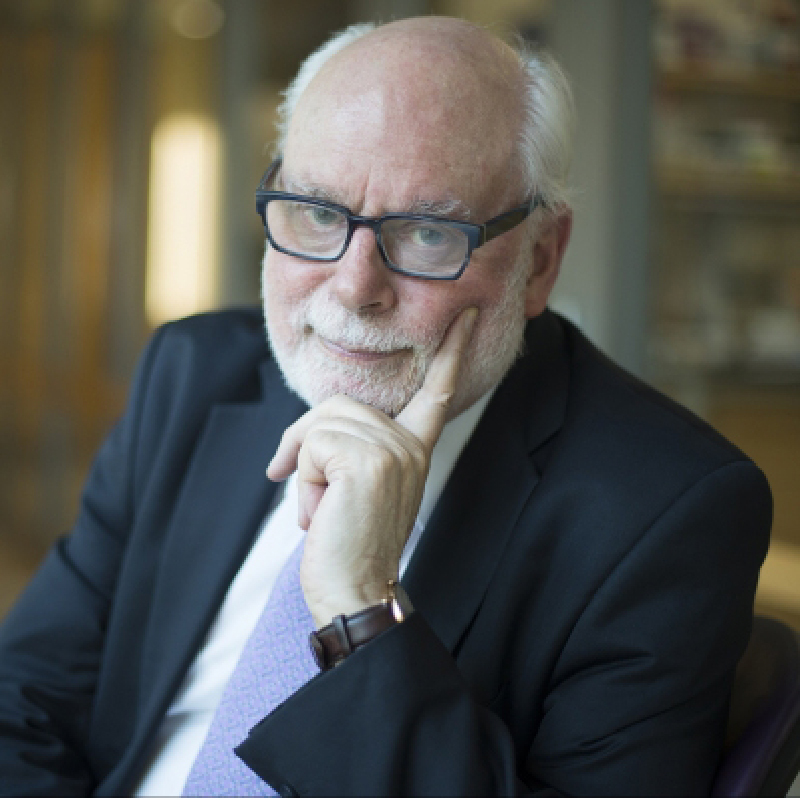 Sir Fraser Stoddart – jointly awarded the Nobel prize in chemistry in 2016 for the design and synthesis of molecular machines – was appointed to a part-time position at UNSW Sydney in 2017 to establish a team to realise his New Chemistry initiative. He is currently professor of chemistry and head of the Stoddart Mechanostereochemistry Group at Northwestern University in Illinois, and has a research laboratory supporting young researchers at Tianjin University in China. Before joining Northwestern in 2008, he spent 10 years at the University of California, Los Angeles. Professor Thwaites is a co-chair of the leadership council of the global Sustainable Development Solutions Network, which provides expert advice and support on the development of the post-2015 United Nations’ Sustainable Development Goals. He also provides legal advice on climate change, water, sustainability and corporate social responsibility, and chairs the Australian Building Codes Board. He was deputy premier of Victoria from 1999 until his retirement in 2007. During this period, he held various ministerial roles in health, planning, environment, water, Victorian communities and climate change. 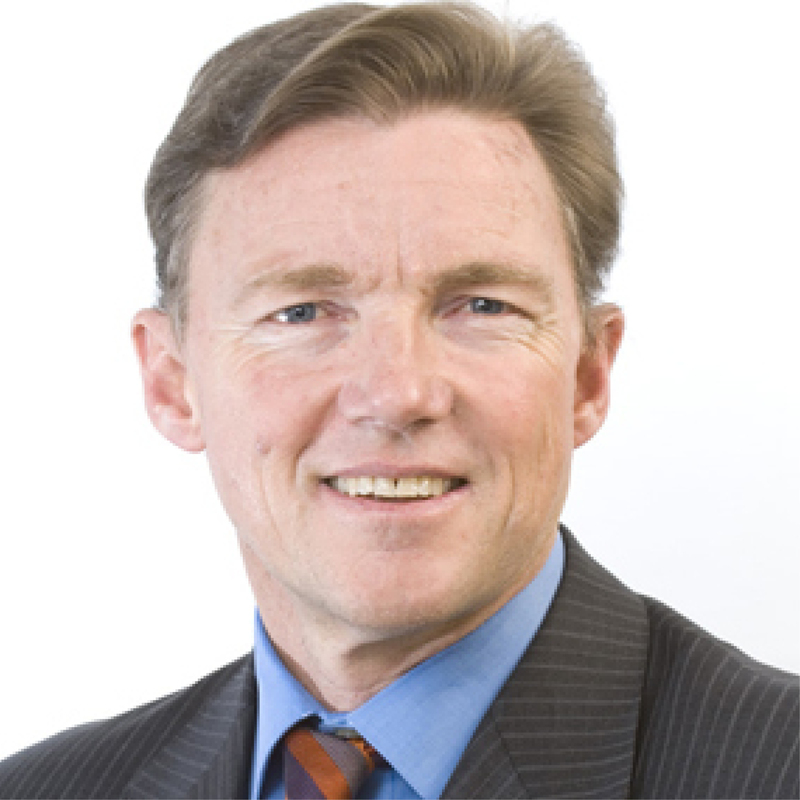 Before his election to head the APRU International Secretariat in Hong Kong in 2011, Dr Tremewan was vice-president and pro vice-chancellor (international) of the University of Auckland. He was a visiting professor at Peking University (2007-08) and a visiting fellow at Georgetown University in Washington DC (2003). In 1991, he was elected a senior associate member of St Antony’s College, Oxford. A specialist on social regulation in Southeast Asia, his research has recently focused on internationalisation and inequality. 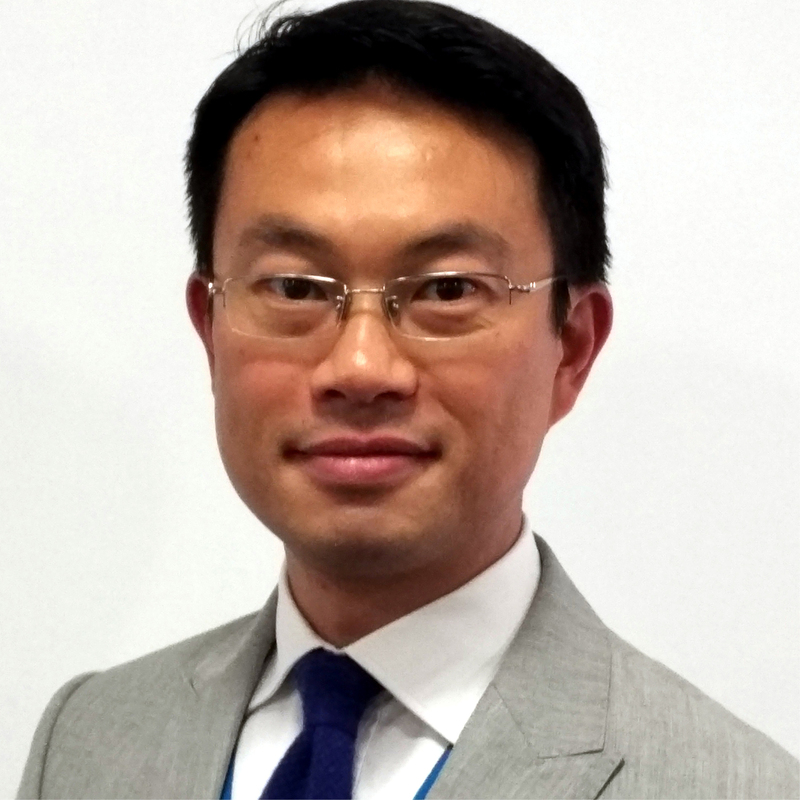 Professor Tuan, a biomedical scientist specialising in musculoskeletal biology and tissue regeneration, assumed office in January 2018. Prior to joining CUHK, he was distinguished professor of orthopaedic surgery at the University of Pittsburgh where he led the Center for Cellular and Molecular Engineering in the School of Medicine, the Center for Military Medicine Research and the McGowan Institute for Regenerative Medicine. He was elected fellow of the National Academy of Inventors and of the Chinese Association of Inventions in 2017 and 2018, respectively. 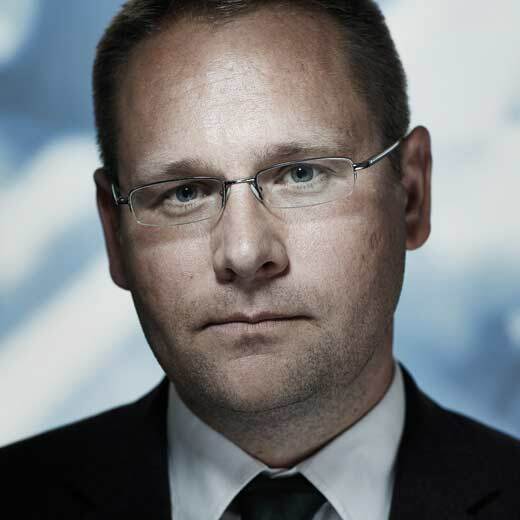 In addition to his role at UNSW Sydney, Professor Walsh is research group leader at Data61 (CSIRO’s data innovation network), guest professor at Technical University of Berlin, external professor of the department of information science at Uppsala University and an honorary fellow of the University of Edinburgh’s School of Informatics. He is a fellow of the Australian Academy of Science and the Association for the Advancement of Artificial Intelligence. In 2016, he won the NSW Premier’s Prize for Excellence in Engineering and ICT. 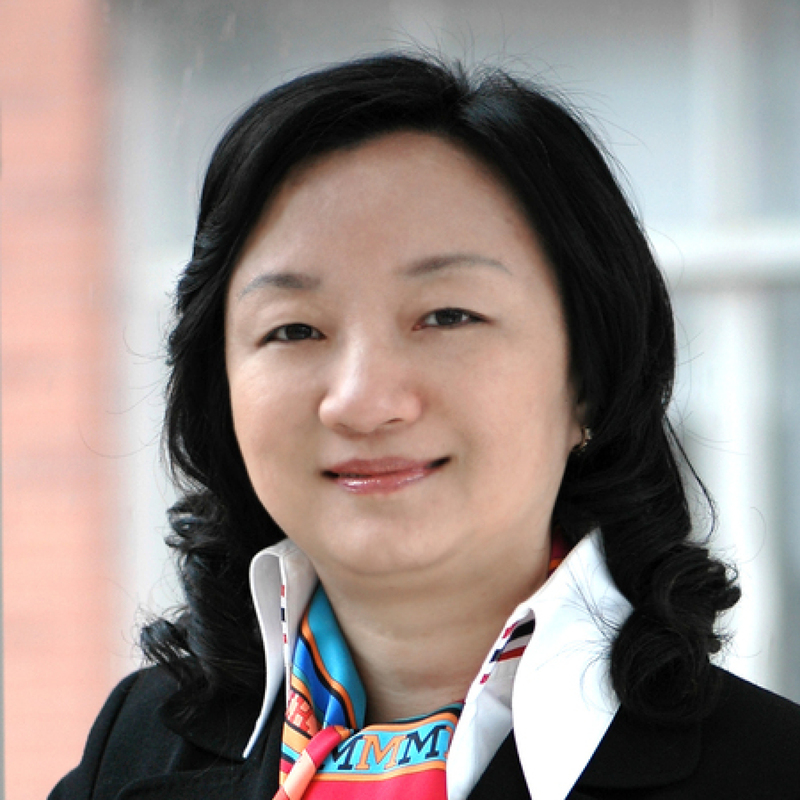 Alongside her role as vice-president of Shanghai Jiao Tong University, Dr Xu is the institution’s chair professor in biomedical engineering and director of its Med-X Research Institute. She also serves as vice-president of the Shanghai Association for Science and Technology and vice-president of the Shanghai Federation of Returned Overseas Chinese. Dr Xu’s research interests encompass bio-thermal physics and cancer thermal therapy, and she has published more than 150 peer-reviewed journal papers and five book chapters. She is a fellow of the American Society of Mechanical Engineers and the American Institute for Medical and Biological Engineering. 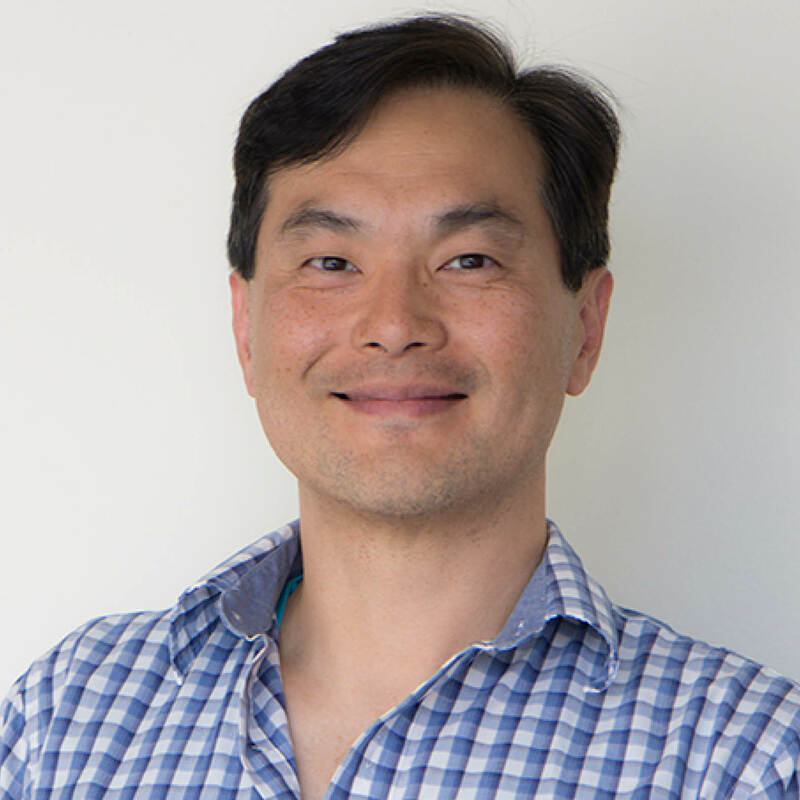 Professor Zhang took on his current role in July 2018. 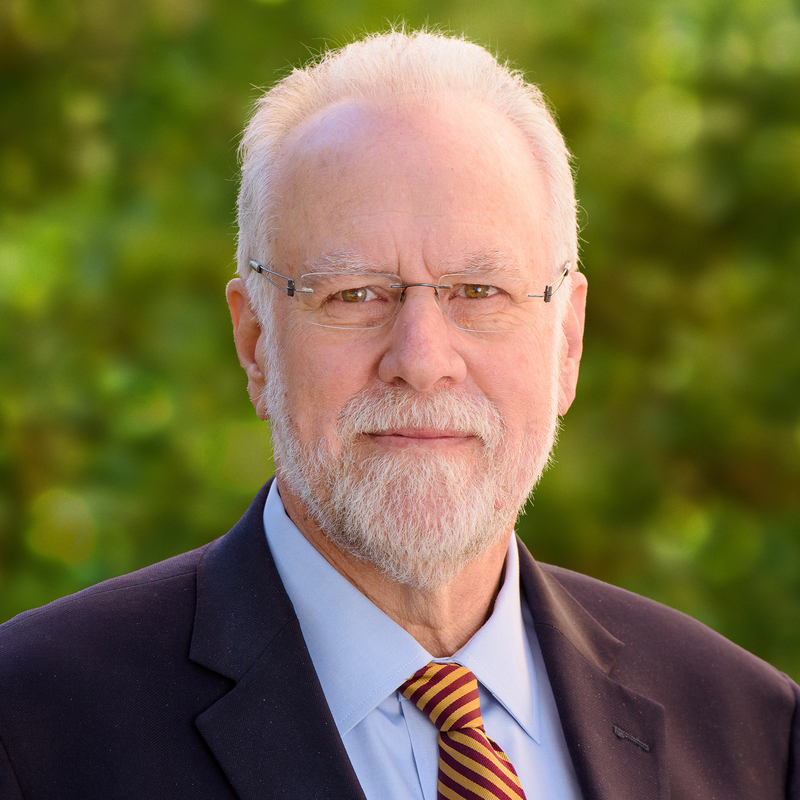 Prior to that, he was the inaugural Ernest S. Kuh endowed chair professor, and director of the Nanoscale Science and Engineering Center at the University of California, Berkeley. He is an elected member of the US National Academy of Engineering, Academia Sinica and a foreign member of the Chinese Academy of Sciences. He is the recipient of many awards including the National Science Foundation Career Award and the Fred Kavli Distinguished Lectureship. 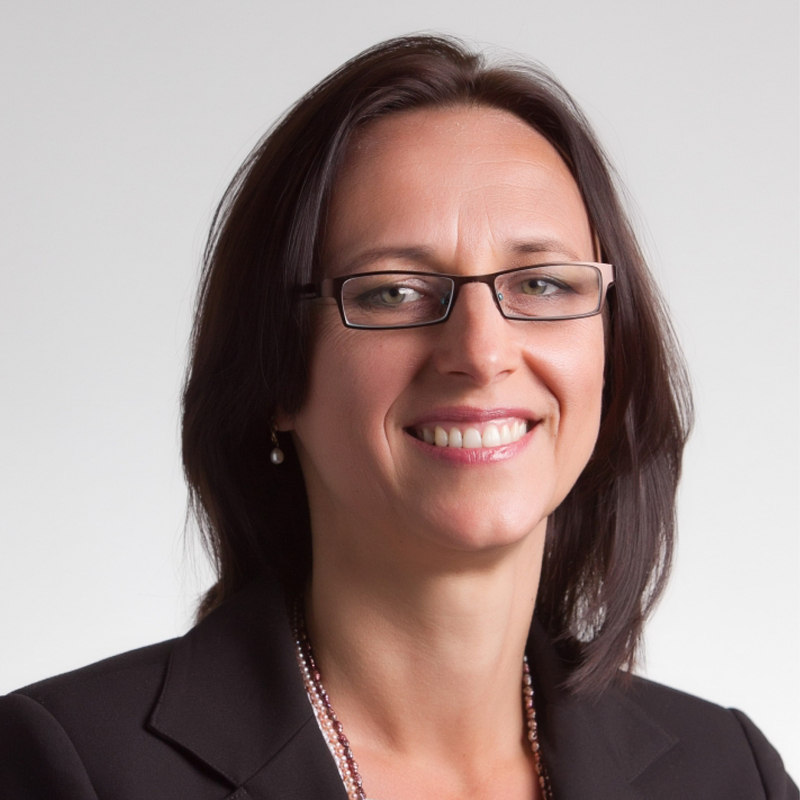 Audrey Zibelman joined AEMO as chief executive in March 2017. She has extensive experience in the public, private and not-for-profit energy and electricity sectors in the US, most recently as commissioner and chair of the New York State Public Service Commission, where she was responsible for overseeing the regulation of New York’s electric, gas, telephone, cable, water and steam utilities. She is a founder, past president and chief executive of Viridity Energy. 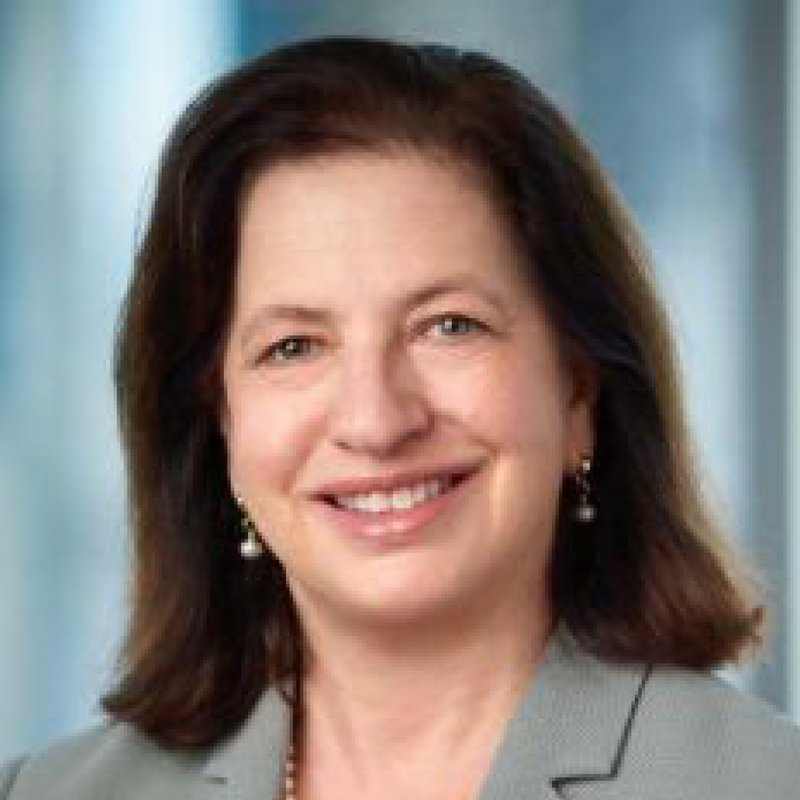 She also served as general counsel to the New Hampshire Public Utilities Commission, special assistant attorney general in the Minnesota Attorney General’s Office, and adviser to the secretary of energy for the US Department of Energy.